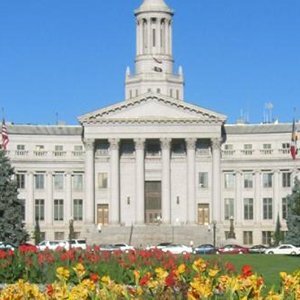 Criminal Defense Lawyer Richard Huttner provides DUI and criminal defense in the Denver County Courthouse which is located at 520 West Colfax, Denver, Colorado 80204. Richard Huttner is a member of the Denver Bar Association and handles cases involving: vehicular homicide or assault, DUI, domestic violence, drug possession or drug trafficking, sexual assault on a minor child, child abuse, kidnapping, juvenile crimes, robbery or aggravated robbery, computer and internet crimes, identity theft, violent crimes, first degree assault, second degree assault and menacing. Richard Huttner has been practicing in Denver County since 1993. His first cases were in Denver County. He has tried both felony and misdemeanor cases and has appeared in front of each judge in both the county and district courts. Denver has its own police department and relies heavily on its own crime lab which includes testing blood and DNA. Have you been arrested by an officer from the Denver Police Department? Have you been charged with a crime? Chances are you will seek representation from a lawyer, but you cannot just trust your future with anyone. You will need an experienced and knowledgeable criminal defense lawyer who will diligently work for your best interest. By hiring an experienced defense attorney, you will have the best possibility of walking free. Call criminal defense lawyer Richard Huttner today for a free initial attorney consultation.